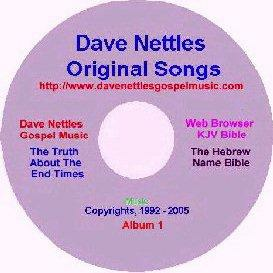 Album 1, Song 10, by singer-song writer Dave Nettles, America, What Will Your Future Be? America needs to get back to God, that's the theme of this song. Will America repent? This is the song that God used to launch Dave Nettles song-writting career. 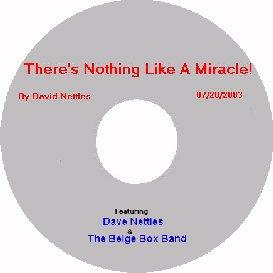 (see Dave's website for his testimony). Sing this song at Church next Sunday. Maybe it will help stem the tide of evil in our country. Here's everything you need, pre-recorded accompaniment, lyrics sheet, sheet music, and the original midi file.